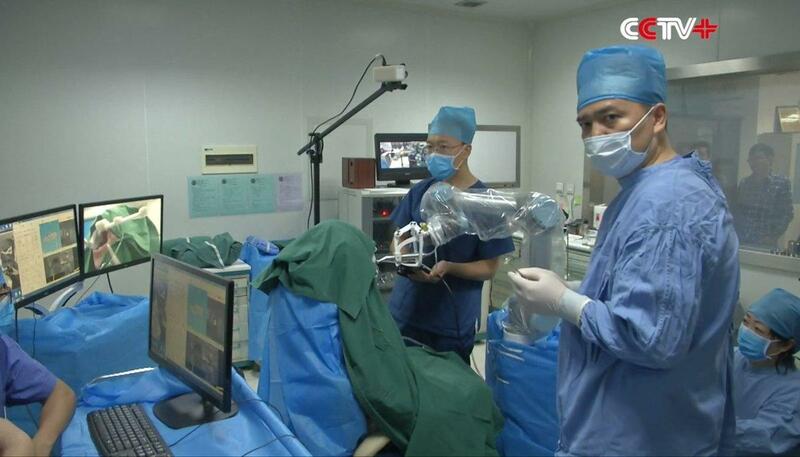 A woman in China recently became the first person to have oral surgery performed solely by a robot. 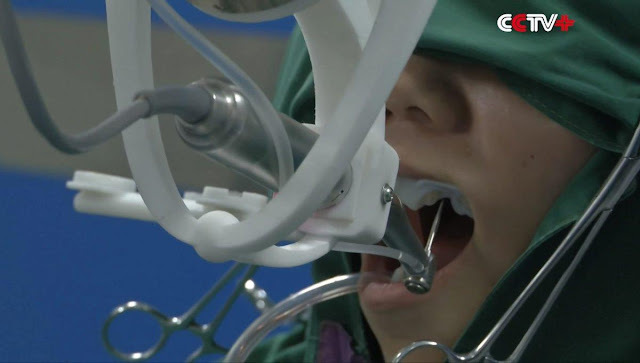 Although human doctors were in the room for the procedure, the robot autonomously implanted two teeth into the patient’s mouth using preprogrammed directions, according to the South China Morning Post. Two new teeth, created by 3D printing, were successfully implanted into a woman’s mouth. The technology was invented by Wuhan University Stomatological Hospital and Beihang. Dr Zhao Yimin, who works at the hospital, told the newspaper the robot was designed to carry out dental procedures and avoid mistakes made by human error. University’s robotics institute to deal with a shortage of dentists in the country and frequent surgical errors.The robot was built to help deal with China’s shortage of qualified dentists. The Post reported that about 400 million patients need new teeth in China.